Dogs are our best friends. They are a part of our families, and they depend on us for good health care, diagnosis, and treatment of dog diseases. Taking care of a dog can, however, be challenging because it is not easy to notice when the dog is feeling unwell. Unlike a child who will cry when he is hurting and point to the source of pain, a dog will act normal when facing minor pain and discomfort and only whine or wince when the illness progresses. For you to be an excellent caregiver to your pooch, you have to know the signs of most common dog diseases. 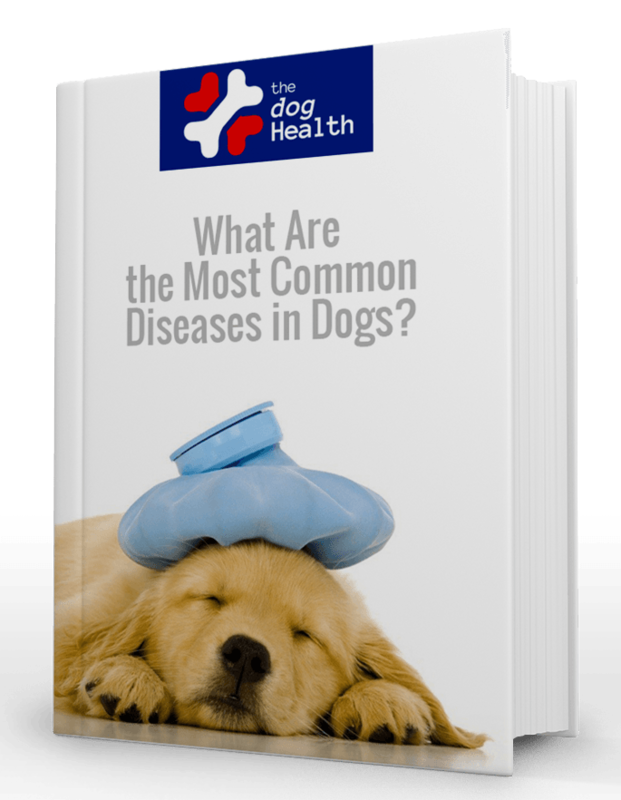 In this article, we are going to look at the most common dog diseases, their symptoms, and how to treat them. Worm infestations are widespread in dogs. The most common types of worms in dogs are hookworms, tapeworms, roundworms, and whipworms. Worms enter a dog’s body when the dog eats contaminated foods or when playing around contaminated grounds. Once inside the dog’s body, worms multiply at a rapid rate and can cause other dog illnesses and even death in puppies or malnourished dogs. Dogs infected with intestinal worm exhibit symptoms such as diarrhea, weight loss, bloating, blood-stained stool, dry coat, vomiting, and an overall weak appearance. Over the counter medications are not recommended for treatment. Instead, take your pooch to the vet to know the particular worm infections and get the right treatment. Ear infections are some of the most common dog diseases especially in droopy-eared dogs like Spaniels and Beagles. Droopy-eared dogs are usually at a higher risk of developing ear infections because their floppy ears block the ear canal and prevent proper air circulation within the ear cavity. Inadequate air circulation in the ear creates a warm and moist environment which facilitates the breeding of bacteria. Some common signs of ear infection are constant head shaking, vigorous ear scratching, bloody ear discharge, swelling, loss of balance, and head tilting. Ear infections can be treated by cleaning the dog’s ears with dog ear wipes and applying prescription antibiotic eardrops. Chronic infections might, however, require you to take your pooch for surgery. Flea and tick infestation is not a disease in itself, but the parasites can cause serious dog illnesses. Some ticks can cause tick paralysis and blood poisoning in your pooch which might result in death. Fleas, on the other hand, are carriers of tapeworms and can cause a tapeworm infestation in dogs when ingested. The signs of flea infestation are entirely different from those of tick infestation. Signs that a dog has fleas include excessive scratching and biting, hair loss, dropping on its coat, red patches on the skin and around the ears. Signs of a tick infestation include fever, scabs, small bumps, and presence of ticks in your house. To remove ticks and fleas from your pooch, you first need to comb him over a basin of soapy water. You then need to check for any ticks and remove them by hand. Lastly, you will need to treat your dog using tick and flea repellant medicine. Make sure to visit your vet so that you can get suggestions on the best medicine to use on your dog. Obesity is one of the dog illnesses that are more common in older dogs than in younger ones. Older dogs metabolize food slowly and lose the stamina to exercise more regularly which leads to rapid weight gain. Young and middle-aged dogs can also get obese if they eat high-calorie foods without getting enough exercise. The signs of obesity are excessive body fat, weight gain, and unwillingness or inability to exercise. Treatment for obesity is done by reducing the dog’s caloric intake and increasing the amount of exercise. Obesity treatment is a process so it might take some time before the results start showing. Kennel cough is a respiratory infection that affects a dog’s windpipe and voice box. The disease can either be a bacterial or viral infection and is highly contagious. It spreads via contact with an infected dog, through the air, or by contact with contaminated items like water dishes. Kennel cough spreads more rampantly in enclosed areas with poor air circulation like animal shelters and kennels, hence its name. Although kennel cough eventually clears up on its own, it brings a lot of misery to the infected dog. Dogs infected with kennel cough exhibit signs like dry coughs, fever, nasal discharge, gagging, and lethargy. If your dog shows any of these symptoms, isolate him from other dogs and take him to the vet. There is no specific treatment for kennel cough since it is a viral or a bacterial infection. There are, however, medications that can prevent the severity of the symptoms in your pooch and help him recover faster. The best thing to do when it comes to Kennel cough is to make sure that your pooch never catches it in the first place. You can prevent your dog from contracting kennel cough by ensuring that he gets vaccinated. Further precaution would be to screen the dogs that your pooch plays with. Vomiting is common in dogs but can be a symptom of more severe dog illnesses like kidney failure, pancreatitis, heatstroke, and intestinal parasites. If your dog vomits once and continues feeding normally then it is likely an isolated case of stomach upset. If the vomiting is frequent with other signs like blood in the vomit, lethargy, and weight loss then you should see the vet for a proper diagnosis and treatment. It is also advisable to feed lots of water to a vomiting dog to avoid dehydration. Just like vomiting, diarrhea is common in dogs and can sometimes be a symptom of severe dog diseases. A one-off diarrhea episode should not be a cause alarm since it might be a case of minor stomach upset. If diarrhea persists for more than a day accompanied by other symptoms like vomiting, bloody stool, lethargy, and lack of appetite, then you should seek a vet so that your dog can get diagnosed and treated. Just like humans, dogs face some common treatable dog diseases that might turn fatal if not treated. It is essential always to keep an eye on our dogs’ health since the little fellas cannot do it themselves. For a deeper insight on how to keep your dog healthy and happy, you can get this holistic guide for a healthy dog and give your pooch the healthy life he deserves.